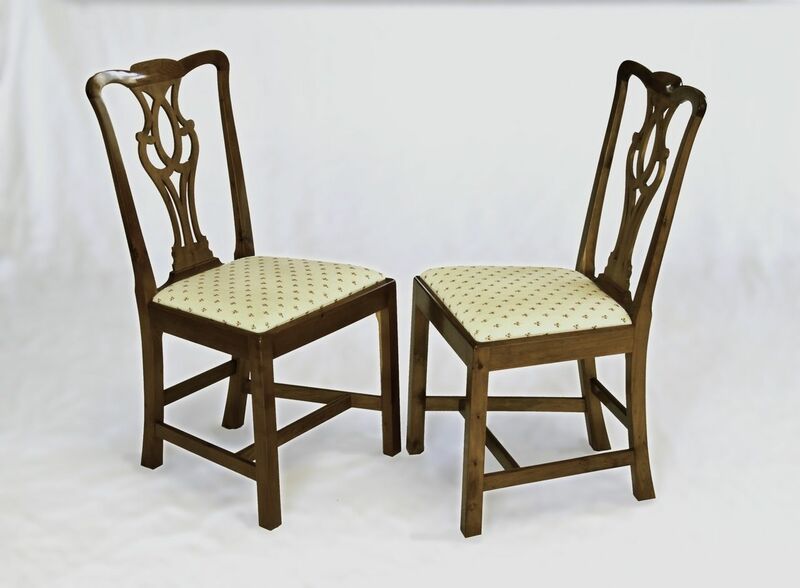 A client had an antique chair she'd found in England, and wanted a full set for her dining room. I used her original as a pattern for these, and made them in yew wood I got from the Oregon. Yew acquires a wonderful color with age, and takes a beautiful finish, so I appreciated her enthusiasm for the choice of this unusual (but difficult!) wood. Dimensions: 17.5"H x 35"H x 18"W.